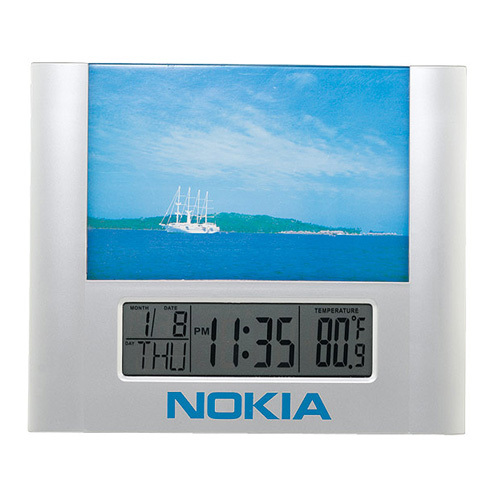 Our Picture Frame LCD Clock features a large 6"x4" picture frame with a thick plastic cover to protect your photos. This alarm clock displays the time, date, temperature (F or C), and day of the week. Individually Boxed / 31 lbs / 40 pcs.